You can almost hear the groans, yet another superhero film bulldozes its way into cinemas. Sandwiched between the ambitious Avengers: Age of Ultron and the Fantastic Four reboot, Marvel’s Ant-Man is the first of this year’s summer superheroes. However, numerous setbacks that included a director walking out halfway through filming meant that Ant-Man would be haunted by the action behind-the-scenes, rather than that on it. But what is the finished product like? Peyton Reed took over from Edgar Wright after some “creative differences” and directs one of the best films to come out of Marvel studios, despite a few issues. 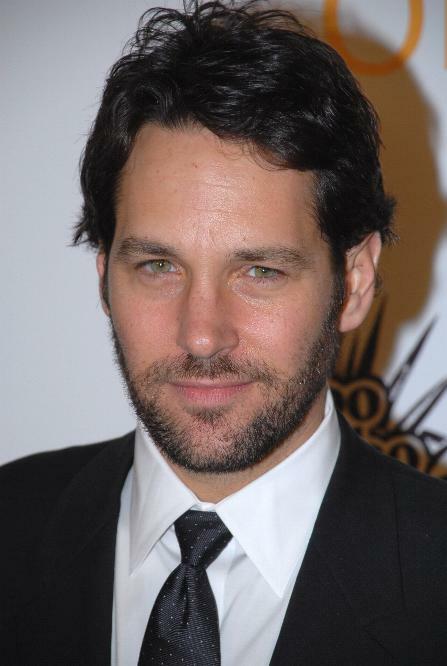 The film follows the story of former criminal Scott Lang, played by Paul Rudd, as he is tasked with becoming the mightily tiny superhero and stop a dangerous form of weaponry falling into the wrong hands – notably those of Darren Cross. Helping him along the way is scientist Hank Pym, Michael Douglas, and his daughter Hope – played by the wonderful Evangeline Lilly. Rudd’s casting raised a few eyebrows during the films pre-production but he is as charming as ever and really gets stuck into the role of a superhero. Michael Douglas and Evangeline Lilly are both more than a match for Rudd’s charisma and play their roles well. What sets Ant-Man apart from the plethora of other big-budget superhero movies is the unique way the titular character utilises the environments around him. Summoning a host of ants to infiltrate buildings adds a new dimension to the genre that is much needed. The CGI during these sequences is absolutely top-notch. When Rudd shrinks down we are drawn into a whole new world of giant carpet pile and huge ants and it’s hard not to get involved with the insects – you’ll never look at them in the same way again. Marvel’s usual sense of humour is also in fine form, but again taking a different approach. This is a film well aware of the fact that Ant-Man is a ridiculous character, one of the most bizarre creations to ever come out of the studio. Thankfully, this doesn’t stop Ant-Man from being ridiculously good fun. The action sequences are thrilling and beautifully choreographed throughout the film and on the whole show that the change in director hasn’t harmed the finished product. However, like the titular character, the film feels ultimately, very small. After the city-levelling antics of Avengers: Age of Ultron and all the previous Marvel movies, Ant-Man comes across a little lightweight and lacking in substance. Overall, Paul Rudd’s first foray into the superhero genre is highly commendable. Peyton Reed has managed to overcome near constant bad publicity to create a film that’s funny, thrilling and a little different. Marvel will continue to churn out these movies until audiences are fed up with the genre, and if the quality remains at this level, it may be a while yet. ← Jurassic World: Where it went so right! 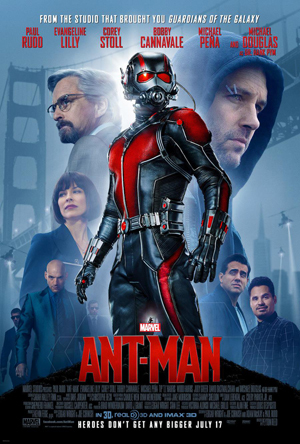 Adam, Another great review, This Ant-man movie i found very Entertaining, it’s surprising that this movie was plagued with so much problems, director Edgar wright bailing out of the production. and Peyton reed taking over, and what a excellent Job he did, Michael Douglas was a great Hank pym who deserves a return if there’s a sequel. Paul rudd’s contribution to screenplay writing is shown in this film. however i’am not too keen on CGI in any movie but it certainly works here. love this movie can’t wait for a sequel. Thanks for your comment. It was one of the biggest (and most pleasant) surprises of the summer!